First a new mascot, now a new slogan! In examining this group, it seems as if there was a definite push amongst the judges to make the slogan somehow dog-centric – six of the eight possibilities make a canine reference. Let’s examine these first. 1. “Great Dogs Aren’t Just Born, They’re Bred” – This one sounds promising, except that I’m not exactly sure what it means. Isn’t breeding the process by which puppies are born? I guess the point here is that we (great dogs) are not the result of random dog fornication, but rather a carefully coordinated reproductive effort to produce a purebred offspring. I don’t know about you, but this slogan makes me feel uncomfortable in mixed company. Pass. 2. “In Dog Years, We’re almost 200!” – I’m confused. Isn’t UMBC over 40 years old? And aren’t dog years seven times human years? Doesn’t that make us about 300 in dog years? In any event, this attempt is cute, but certainly not slogan-worthy. 3. “Raise The Ruff!” – Another cutesy dog reference. This might be nice on a poster at a basketball game, but it’s too lightweight to be the entire campus’ slogan. Also, it’s almost exclusively a sports slogan. Do we really want to “raise the ruff” in engineering? 4. “Retrievers, Ruff and Ready!” – Again with the “ruff” reference. 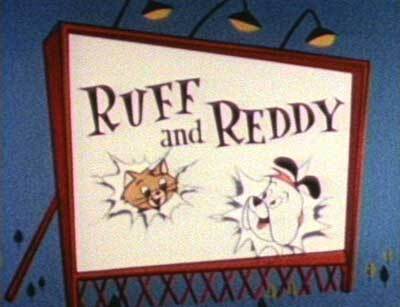 I like the alliteration, but I can’t get by my childhood memories of “Ruff and Reddy,” a no-frills 1960s cartoon that, in reruns, was a staple of “Cartoon Carnival.” It was about a dog (Reddy) and a cat (Ruff) who had adventures together for a season or two. One thing I remember clearly about the show was that the dog was a moron, which taints my view of this slogan. The best part of “Ruff and Reddy” by far was the catchy theme song. 5. “UMBC: Where Every Dog Has Its Day” – In this slogan, it is insinuated that even hapless losers can succeed at UMBC. Pass. 6. “Woof!” – Really? That’s it? Our university is to be represented by an onomatopoeia -in this case, the sound a dog makes when it wants to go outside to urinate? Really? I think not. 7. “Black and Gold, Breaking the Mold” – I like the rhyming, and I like the idea that UMBC is unique. I could live with this, I’m just not sure that it says enough. 8. “Be Proud, Be Bold, Be Black and Gold” – Of all of the candidates, this is the one I like the most. It doesn’t just rhyme, it actually comes with its own rhythm. It also urges us to take positive action, and it identifies those actions as emblematic of the Black and Gold. It’s versatile enough to be applied to any university activity, but it could also work as a chant in the RAC on game day. I can even see variations on tee shirts and hoodies. “Proud. Bold. Black & Gold.” Nice. Voting is on MyUMBC until December 18.